If you would like to order a demo CD, please click here. In 2015 I’m proud to offer a new product to my wedding couples. 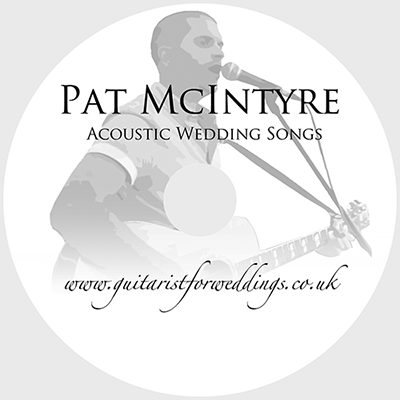 One of my past clients contacted me towards the end of last year asking whether it would be possible to put together a CD of all the acoustic songs played at their wedding as a Christmas gift. 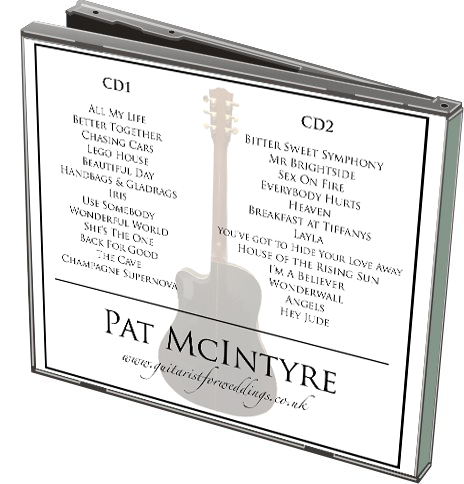 I wanted to make the finished CD a really nice professional product which would be a lovely memento, and something collectable to add to the memory box. With this in mind, I set about designing a personalised CD case, and had CD’s professionally printed. I’m also in the process of recording my full repertoire professionally, so that the quality of the music matches the appearance of the CDs. I’m very glad to say that the first CD was received brilliantly, and I’m very proud of the final result. I’m now pleased to offer these personalised CDs out to all my past and present wedding couples – please get in touch if you’d like to order one, and I’ll let you know a timescale for how quickly I can get it to you! When you order, I will also send a digital download of all the music in high quality 320kpbs mp3 format, so that you can add it to your computer, iPhone or generic digital device! 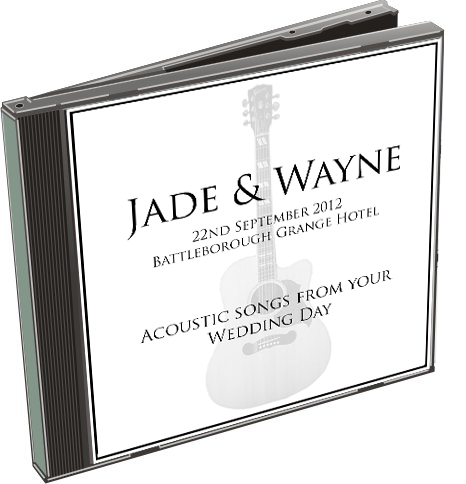 I’m also able to personalise the front and back of the sleeve – so if you have any artwork or photographs from your wedding day you’d like to use then email it over to me and I can use it as a custom cover for your CD, to make it truly unique to you. 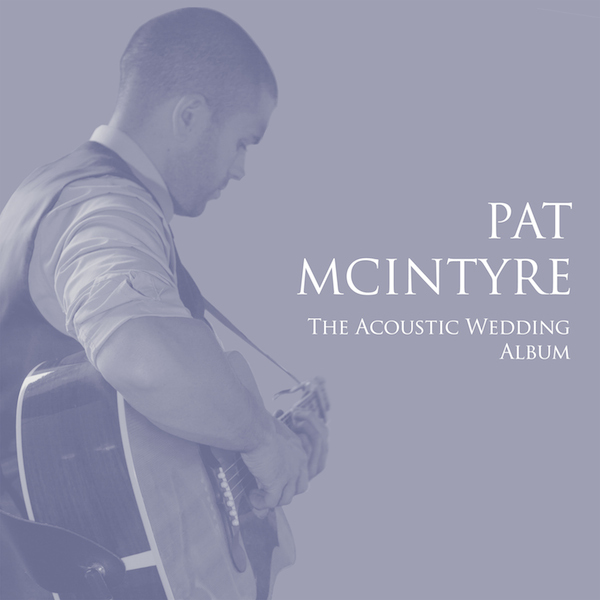 “The Acoustic Wedding Album” is now available. It includes 9 popular wedding songs and 2 versions of the acoustic Bridal Chorus (“Here Comes The Bride”). It’s priced at £7.99 and available on iTunes, Amazon, Google Play and Spotify. If you’d like a physical CD, please contact me.